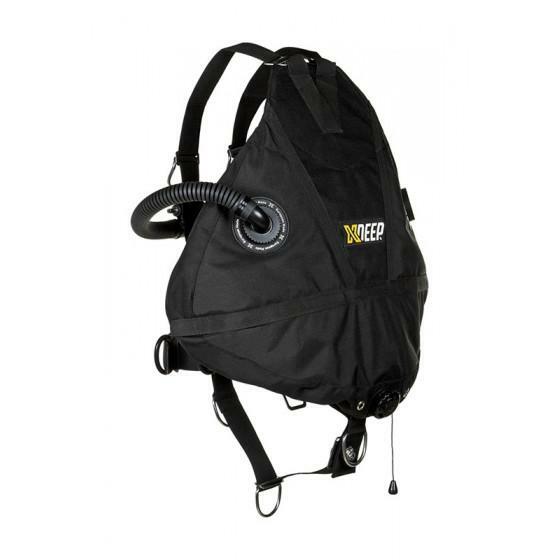 STEALTH 2.0 CLASSIC - BCD that started the sidemount diving revolution. Stealth 2.0 Classic BC is packing 35 lbs / 16 kg of lift into a streamlined and tough double-shell wing that brought true innovation. Selecting materials that would stand up to the rigours of cave and wreck diving meant no compromises. 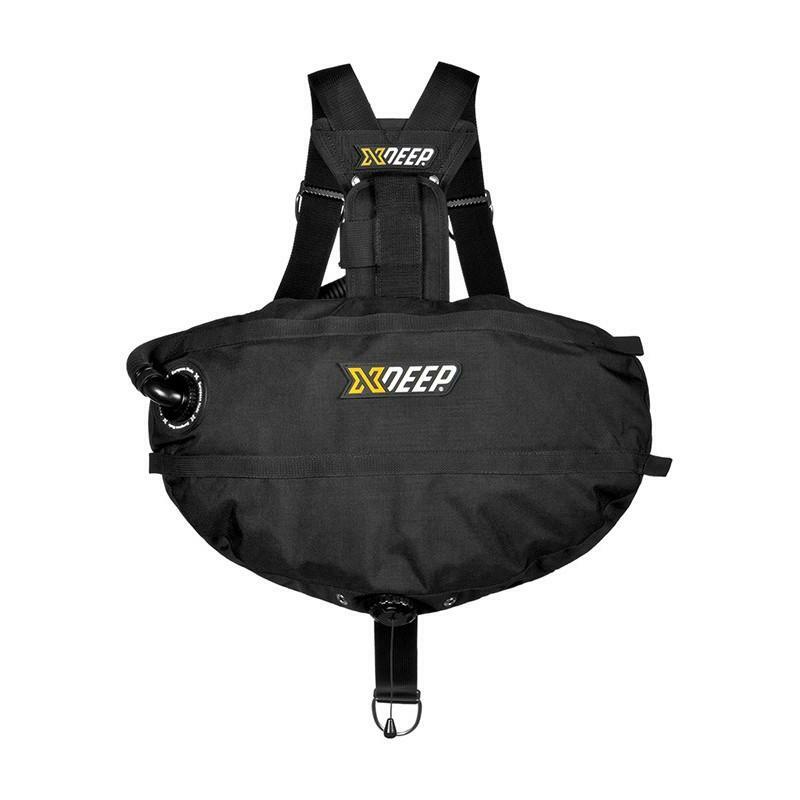 Combining these demands into a sidemount system that was compact and infinitely adjustable and made our competitors systems irrelevant was a challenge XDEEP relished. The STEALTH 2.0 design achieves a streamlined system that stays in tune with your anatomy. Whatever position you are in and regardless of how much gas you have in the wing, the distance of the centre of the wing away from the body is minimal. Because the wing has its own independent five-point mounting system, you can place the wing exactly where it needs to be. During the dive as you mount and demount cylinders, drop stages or clip off scooters the wing can be adjusted to maintain trim. For a real squeeze of a restriction, you can even remove it to completely minimize your profile. Diving in caves and wrecks can put your body in some strange and contorted positions therefore STEALTH 2.0 dump valve is located centrally to ensure it can be reached anywhere with either hand. 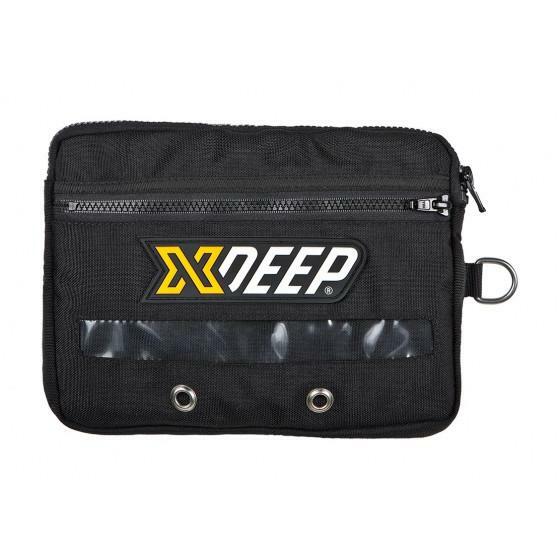 In addition it is placed to offer maximum protection from accidental operation or from being caught or damaged in the environment. STEALTH 2.0 Classic first introduced fully modular revolutionary harness. Stealth harness features 3 differing webbing thickness and stiffness not only for comfort but also for enhanced performance. Security and adjust ability is designed into the harness to enhance the diving experience. D rings on the waist strap can be moved to allow for cylinder buoyancy changes and control of cylinder position, even if carrying buoyant high helium mixes. Stealth 2.0 Classic also features world's best weight management system achieving perfect balance and trim. Multi options of weight management system allows you to place the weight in an ideal position relative to your center of gravity. 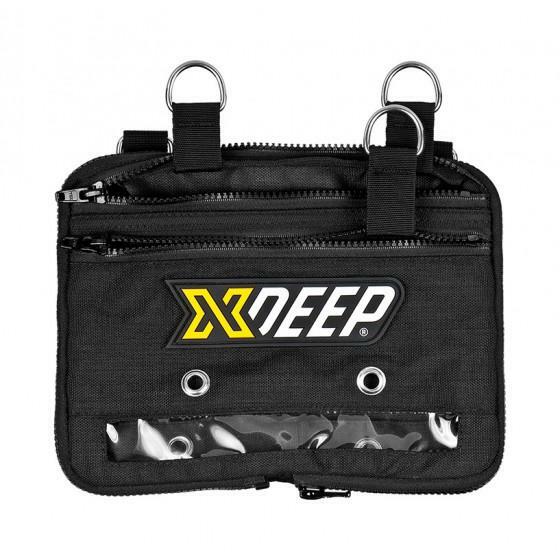 Central weight pocket is simple to move within a considerable range. Just as if you were moving a V-weight on a twinset, you can apply the same principle for optimum position and thereby perfect balance and trim. 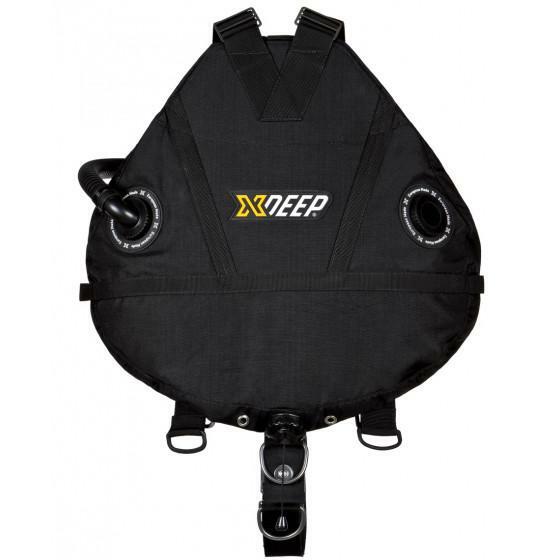 Stealth 2.0 Classic is a first choice sidemount rig for years.